1. 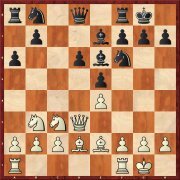 Hou Yifan’s temptation: the ex-women’s world champion shows how, cool as ice, she countered Bacrot in the traditional tournament in Biel. 2. Perfect start: Teimour Radjabov annotates his win with Black against the almost unbeatable Anish Giri at the Grand Prix in Geneva. 5. 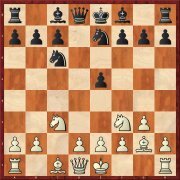 No simple play in the “Double English“: let GM Mihail Marin bring you up to date on the opening after 1.c4 c5. 7. Brakes applied to the Accelerated Dragon: let Renato Quintiliano show you a tricky positional plan for White. 8. Unprejudiced world champion: Peter Heine Nielsen annotates Carlsen’s successful premiere with the Bird Opening (1.f4) on the Grand Chess Tour. 10. “King in the box”: enjoy the unforgettable mating patterns in Efstratrios Grivas’ FIDE training course. With 5...e7 (instead of the main move 5...b6) Black is following, according to Tibor Karolyi, different goals and there is less theory he needs to know. 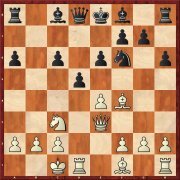 White needs to become active quickly (b2-b4) and possess precise knowledge of the variations. Only then should it become difficult for Black to equalise. In a further article (after CBM 178) Lars Schandorff examines the delaying of the move b8-d7 with 7...e6!? 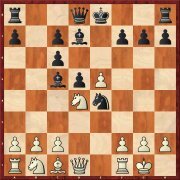 For the moment it is bringing Black good results because no antidote has been found for White which promises him success. 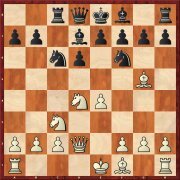 The variation with 11.c4 has become incredibly popular, probably because White can play for a slight advantage without taking any risks. Instead of the usual 11...b4 12.c2 Petra Papp has dealt with the rare 11...d4!?. But the move does not suffice for equality. By playing10.h3 and protecting the e4-pawn with Qc2 White avoids according to Renato Quintiliano the otherwise (with f2-f3) usual weakening of the black squares. 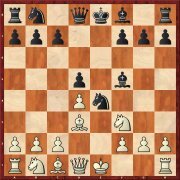 For the moment Black is having enormous difficulties against this setup. The variations which start with the strongest move 8.f4 are very long and prove that objectively Black has no chance of equality. But Leonid Kritz also points out that is is not simple for White to learn up so much theory and remember it permanently. The variation with 9.xc6 is putting the alternatives in the shade these days. 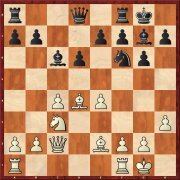 As Nadezhda Kosintseva demonstrates in her article, Black can hardly count on equality; the least risky try still appears to be 11...Be7. 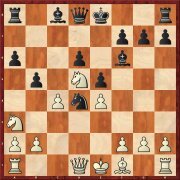 With the relatively new 10.Bd2 White is hoping for 10...bd7, which is what usually follows in games of the top players. 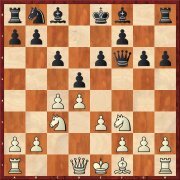 Then 11.Nd5 can possibly result in an advantage. But Alexey Kuzmin also investigates the black alternatives on move 10. Almost all the top Chinese players are experts in the Petroff Defence. Recently they have been preferring 6...Bf5, which is supposed to be an even simpler route to equality. 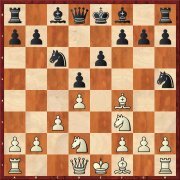 Igor Stohl analyses the variations in detail and cannot find any advantage for White. According to Krisztian Szabo the variation is suitable for Black to aim not only for equality but also for an initiative. Although the theory has already been developed to a great extent, many a discovery should be awaiting discovery with the help of engines. 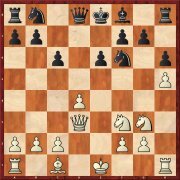 This new and forcing variation with the capture on d4 and 7...h5 immediately puts White under pressure. In the analyses by Robert Ris no proof can be found that Black needs to fear any line. Holding back on developing the knight to d7 by playing 7...g6 has proved its worth. Evgeny Postny even sees usually more than just an equalising continuation for Black and pleads for players to learn the typical plans and ideas.